The Sox traded Shane Victorino to the Los Angeles Angels on Monday and he teared up a little in his departing press conference. And of course, who could forget the Fenway faithful singing along to his walk-up song, “Three Little Birds” by Bob Marley. 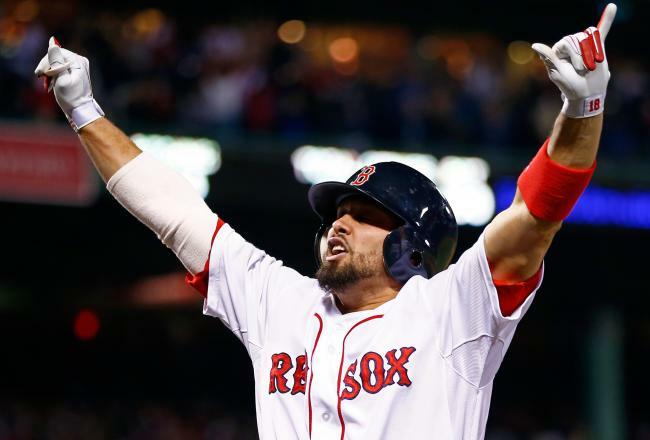 It’s too bad that his glory days with the Sox were short-lived, but Shane Victorino will always be appreciated in Boston and we wish him the best in Anaheim.